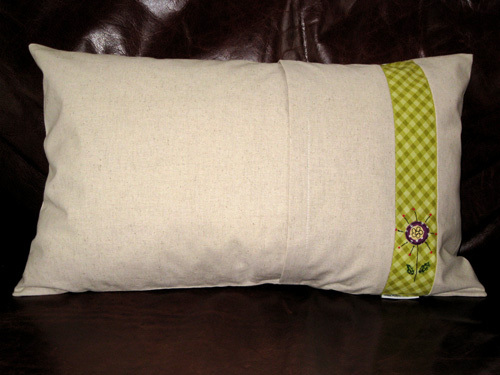 So here it is - it is a Cushion!! With a paper chain of girls and boys. I had loads of fun choosing fabric, then appliqué, free hand machine embroidery and hand embroidery of french knots and running stitch. The cushion itself is Japanese linen that I bought on eBay - not cheap stuff, but it is beautiful and 'solid' to work with. 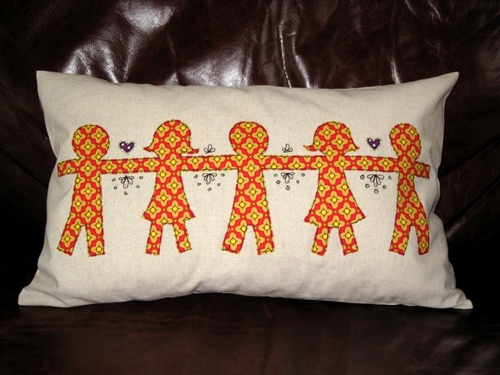 The squiggles and dots have french knots inside them, in yellow and green. In hindsight, I should have used a brighter embroidery thread, as neither yellow or green stand out as much as I would have liked. The little spotty purple hearts have a green running stitch around them. 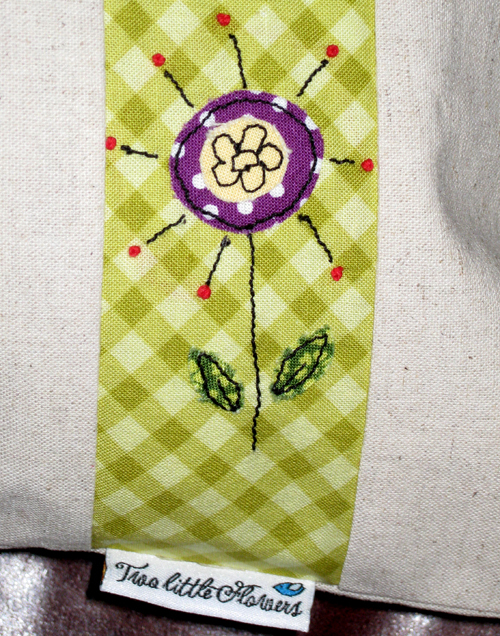 The backside of the cushion, complete with my TLF label and spikey flower accent. I think that this flower might just be my favourite part of the cushion. 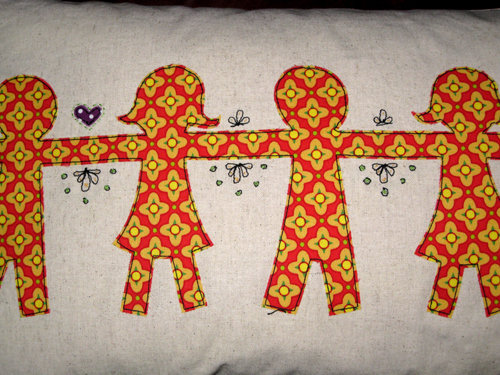 All in all, I am really pleased with this little cushion...I hope my friend is too. I have been wondering if anyone might be interested in the DIY instructions and pattern templates for this cushion design...I might just do a downloadable instructional for it - and include my tips on free hand machine embroidery....let me know! Happy 40th Birthday to M, my friend today and a very Happy Leap Year Day to you too.